Have you ever wondered if the European Christmas markets in your town or city are anything like the markets of Bruges, Lille, Arras, Ypres, Lens or Amiens? Does your market have the picturesque qualities of Lille, the canals and cobbled streets of Bruges, the history of Ypres, the architecture of Arras coupled with wonderful restaurants and of course the skating rinks where we prove to ourselves that Torvill and Dean were truly talented and we have wet bottoms for the rest of the evening. Well, now is your chance to find out, why not join us on one of our Christmas market tours? 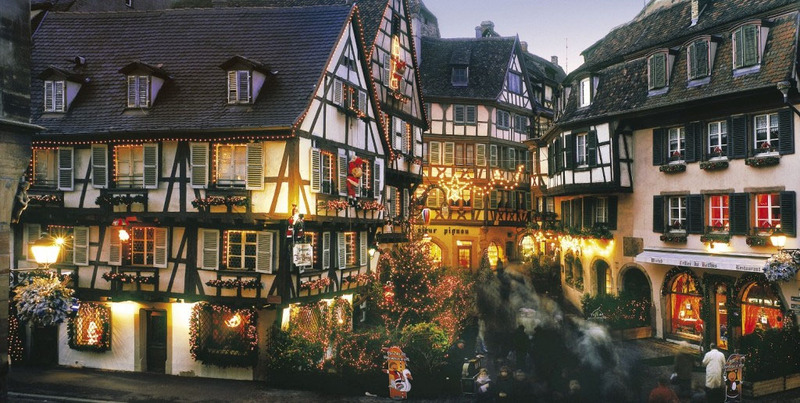 But it's not just about the Christmas markets; it's about making the most of the time that you have available, we ensure that your trip not only gives you ample time to visit the beautiful decorative stalls, festive fare and superb seasonal gifts that are available, but we also include other visits to make your trip a truly magical one. Whatever you fancy doing, If it's one or more markets that you want to visit please click on the itinerary button below and select the option for you, if there are between 4 and 6 of you and you fancy creating your own tour, please click on bespoke tours and then Christmas markets and let us work with you on your own bespoke experience. The French and Belgian Christmas markets offer an amazing blend of culture, history, great gifts and an atmosphere that must be experienced to be believed. The beautiful surroundings and wide variety of gift ideas create an event, very different from those in the U.K.
We can offer you 2, 3,or 4 day breaks (longer or shorter breaks are available via our bespoke tours) with the equivalent number of nights for each tour, in each case you decide which of the 6 markets on our list you visit each day. Our current tours cover, Bruges, Lille, Arras, Ypres, Lens or Amiens, If you want to visit a market that is not listed please call us for a price. Prices are based on single occupancy, 2 people sharing a twin or double room will receive a 10% discount. We have collection points in Amiens, Arras and Lille, collection or transport from other locations can be arranged at a cost only basis, we do not charge a booking fee for this service, or you may want to bring your car and discover the delights of Northern France on your way. Visit to 2 of our 6 listed Christmas markets. 2 days accommodation at our own Freeman Farm. 2 days breakfast, lunch and 3 course dinner with local wines and beer. All transportation from collection at one of our points to return. Dedicated guide/host for your break. Morning visits (if required) to local points of interest. Ring now or complete the booking form to book your 2 Day Break. Visit to 3 of our 6 listed Christmas markets. 3 days accommodation at our own Freeman Farm. 3 days breakfast, lunch and 3 course dinner with local wines and beer. Ring now or complete the booking form to book your 3 Day Break. Visit to 4 of our 6 listed Christmas markets. 4 days accommodation at our own Freeman Farm. 4 days breakfast, lunch and 3 course dinner with local wines and beer. Ring now or complete the booking form to book your 4 Day Break. We have collection points in Amiens, Arras, Lille, Ypres and the Somme, collection or transport from other locations can be arranged at a cost only basis, we do not charge a booking fee for this service. 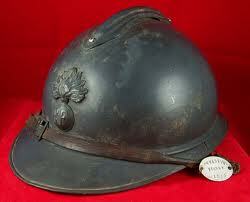 The French steel helmet was based on that worn by the Paris Fire Brigade.